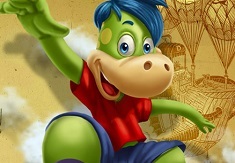 Good day friends, our site games-kids.com has the pleasure to invite you to play a really beautiful game with us, a game in which you are going to have a great time with all of your beloved friends and characters that you can find here, on our site games-kids.com. 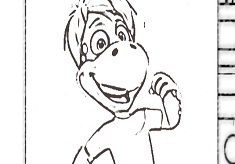 We only upload nothing but the best games for you to play, that's why we would really like you to join us in this new game, Dino Adventures Memory. This is a beautiful game specially uploaded for all of you that love playing such interesting games, in which you get to test your skills, such as your memory. Not everyone can say they have good memory skills, but you kids, after so many interesting games like this Dino Adventures Memory, you can be proud of your skills. What you need to do is to click on two cards until you find all the matching pairs. Enjoy this beautiful game, kids!